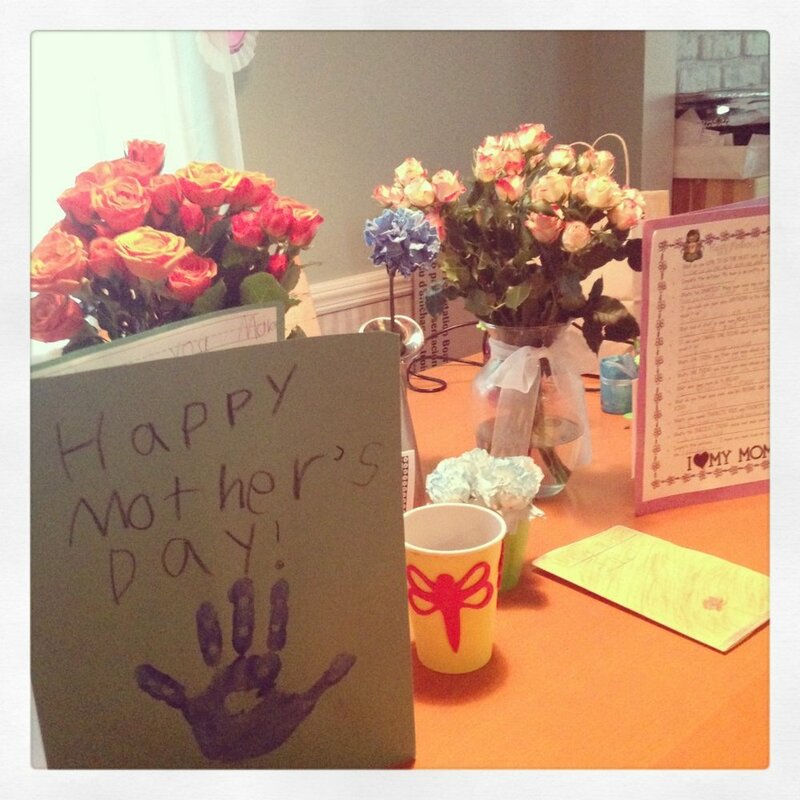 My mother's day was simple... but pretty perfect. I got to sleep late. I was brought coffee & and bagel sandwich from Dunkin Donuts. I was given flowers and cards and hugs and kisses. My family humored me when I said "all I REALLY want for Mother's Day is for you all to help me tidy the house!"... so now I have a tidy house. I had a delicious late afternoon brunch (is that really linner? lupper?) We spent the rest of our day lazily hanging around the house. I am still full. And then, before bed, Zoe & Ana humored me one more time and let me video tape them reading me their cards.